ROOM TO READ. This award-winning non-profit organization is focused on improving literacy and gender equality in education in the developing world. Ann will be teaching on June 2nd and June 6th. Wow! This is a knock-out performance, not to be missed. And don't worry, they have sofas to lie down on and emergency staff stationed throughout the exhibit. I ended up leaning against my husband on the metro ride home in a state of complete and utter exhaustion. It felt a bit like the one night I went out dancing nonstop until 4am. 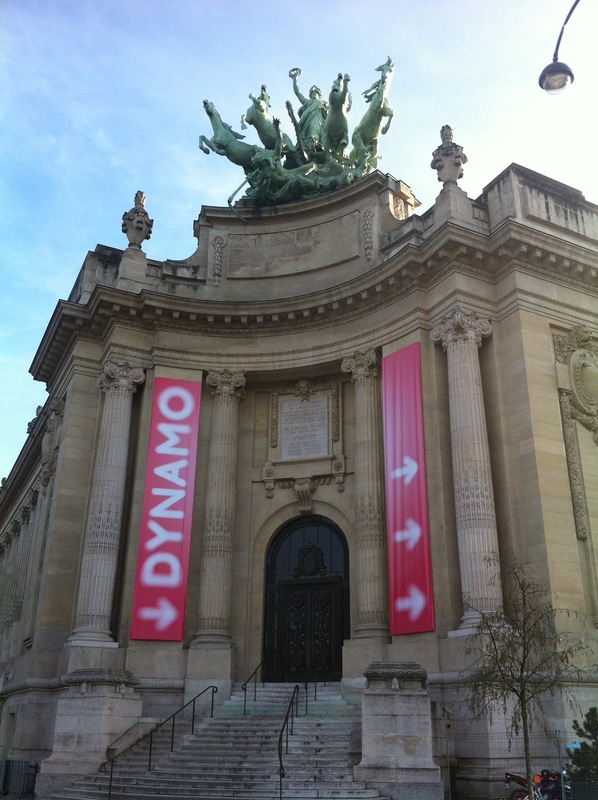 DYNAMO is an exhibit of visual art that explores the relationship between art and viewer. There is no stage or obvious performance space, and the human body is neither the subject nor object of the event - our experience and perception are. DYNAMO is, in fact, one enormous experiential installation. The National Gallery at the Grand Palais is made up of a chain of vast chambers and our movement through that space, along with shifting currents of air and light, creates an unusual and unsettling experience that I would call 'a dance'. 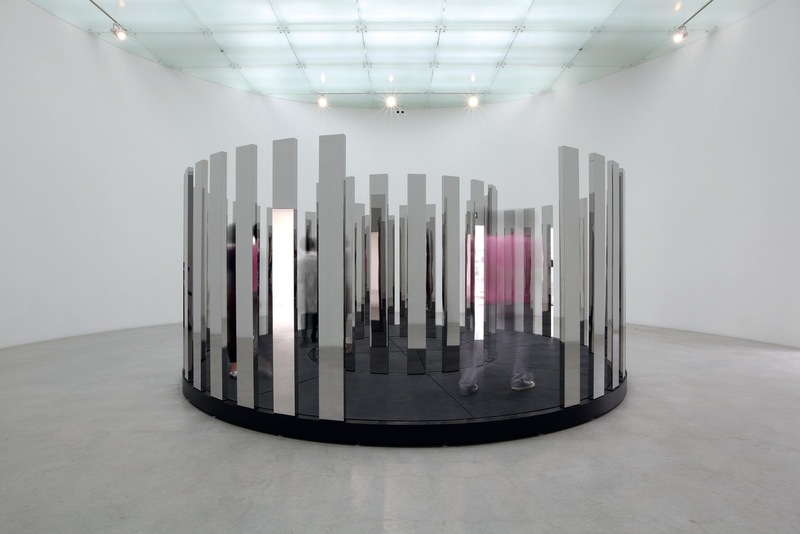 "Notions of space, vision and light run through the abstract art of the 20th century and interest many world renowned contemporary artists such as Ann Veronica Janssens, Anish Kapoor, John Armleder, Carsten Höller, Philippe Decrauzat, Jeppe Hein, Felice Varini and Xavier Veilhan. 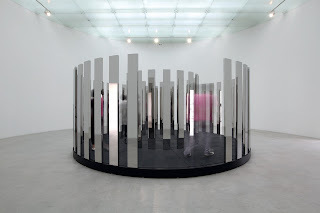 By putting vibration along with the spectator’s perception in the centre of their works, they set up multiple resonances with optical and kinetic art, which first emerged at the Movement exhibition in Denise René’s Paris gallery in 1955, but also, more broadly, with what was later called "perceptual art" at the exhibition The Responsive Eye at the Museum of Modern Art in New York in 1965. This exhibition shows how, from Calder to Kapoor, numerous artists have dealt with the concepts of vision, space, light and movement in their works, often creating installations that the visitor takes part in." Untitled, 2008, Aluminium and lacquer, 220 x 220 x 47 cm, Artist’s inventory no: AK 12-030; Untitled, 2008, Aluminium and lacquer, 220 x 220 x 47 cm; Untitled, 2013, Aluminium and lacquer, 222 x 222 x 47 cm; Photo © Fabrice Seixas. Three concave circles of metal hang face-to-face creating what feels like a three-sided room, reflecting a rich, warm light. The beauty is seductive and I enter its territory willingly. These 'mirrors' reflect both sound and light, and my vision warps along their surfaces so that I am no longer sure what is down or up, in or out, near or far. Even the slightest movement sends the world whirling, and sound follows. My voice echoes in my head in one position, then seems to emanate from someplace completely other than where I know I am when I shift my weight. The work seizes my head in its embrace, and violently rocks all sense of orientation out of it. I feel the need to flee, rather than have my feet so thoroughly unearthed beneath me. This is an installation of Anish Kapoor's work, all of which are untitled. By the time I arrive in the room with the hanging mobiles I know, with certainty and pleasure, that I have been given permission to play. If you walk through Jesus Rafael Soto's hanging strips of thin blue plastic, Pénétrable BBL Bleu, with your arms spread wide like a bird, the whole thing moves like seaweed in the ocean. I stood beside a mobile of clear plastic squares for a long time, blowing on them to watch the play of the shifting light -- a work made up of almost pure shadow and light, that seems almost not to be an object at all. Julio Le Parc calls his work Continuel-mobile, but if I were a child I would have called it Magical Mobile. Usually (though not always) when we go to a performance, we as the audience are stationary and the "objects" of our attention move in order to create our experience. Film is similar, of course. In DYNAMO we are asked to move through the works, and in doing so we engage in an experience unique to each of us as viewer, spectator, participant. There is a dance going on here that forces us to acknowledge our being in time and space. It is so easy to believe that we are the still and central point around which all else turns. DYNAMO powerfully reminds us of the shifting sands of our own living, breathing being. Hats off to Serge Lemoine, Commissaire général de l'exposition, and his team!